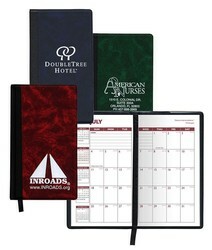 Florence Hard Cover Vinyl Pocket Planner with a black ribbon page marker. 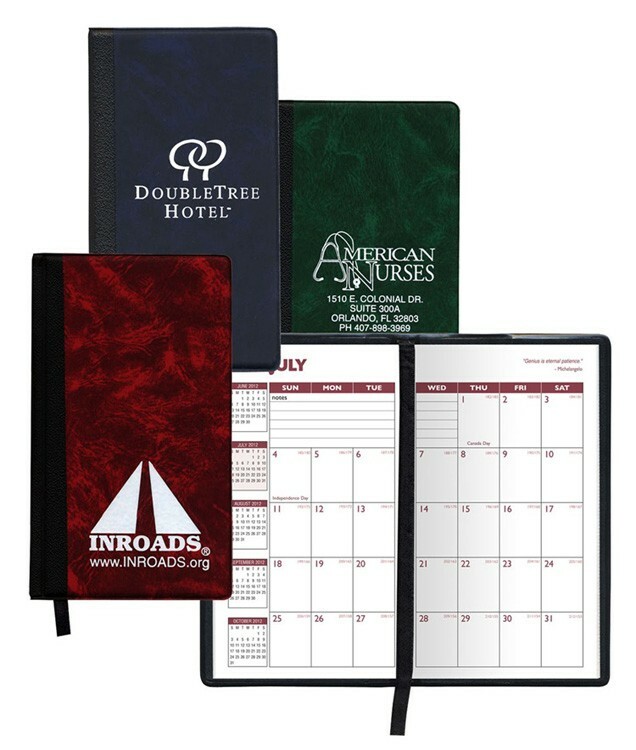 3 3/4”w x 6 5/16”h (closed size) is refillable and available in 3 elegant new 2-tone vinyl colors and features a 2 color month in view, 32 page 14 month July - August Academic refill with 3 year calendar, notes area on each page, special days, metric conversion, time zone/area code map and much more. 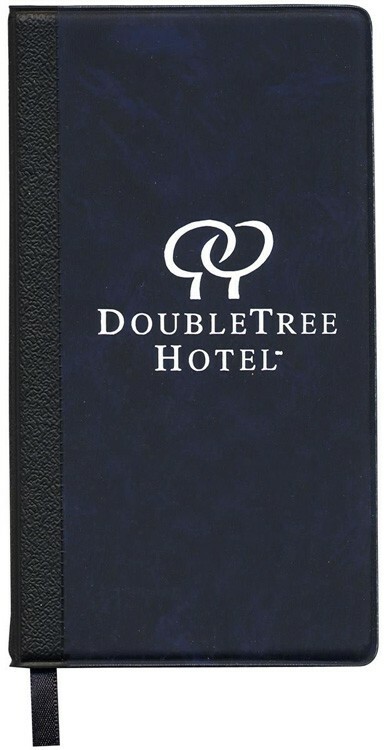 Prices include a 1 color foil stamped imprint on cover. Optional silk-screened multi-color imprinting available as well as several additional insert options, see “Options” above. IMPRINT: 5 lines of straight type foil hot-stamped in one color in a 2 1/4"w X 5"h area in lower front cover is included without a set-up or die charge, other imprint locations available upon request. Additional lines of straight type imprint are $5.00(A) per line, per order.